March blew in so very quickly! Time for renewable and non renewable resources lessons, tied to natural resources, as well as to wind and water powered hands on STEM challenges. I love using recyclables to let my kiddos create! First things first, students need to know what sustainable resource means. Doing something in a way that minimizes damage to the environment and avoids using up natural resources, for example renewable energy. An anchor chart can help you discuss the different vocabulary words and help them visualize the difference. Here is a quick video to help you also explain the concepts of being green in a way that kids can connect! There are a ton of great activities that you can incorporate along with teaching your students right away at the beginning of the year how to live sustainably and help the classroom, school, community, and planet! -cans can be reused as a pencil holder, but if you can get the big ones form your lunchroom, they make great robots, drums, utensil holders for a present, paint them and have the kids take it home to put their stray plastic bags in, and a great after school project you can make games for a school carnival! 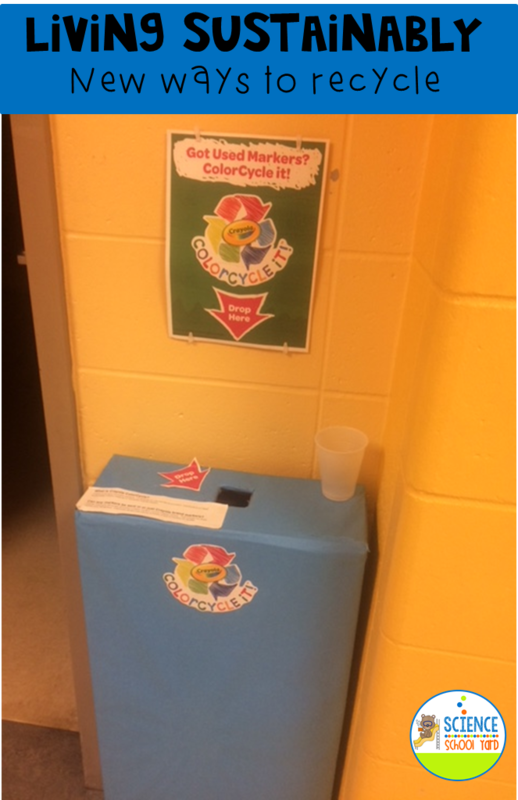 -start recycling efforts in your school. Think outside the box. Try recycling old markers! - egg cartons make perfect animals such as bugs and caterpillars, they make great seed starters, and rock collectors, even lovely flowers! 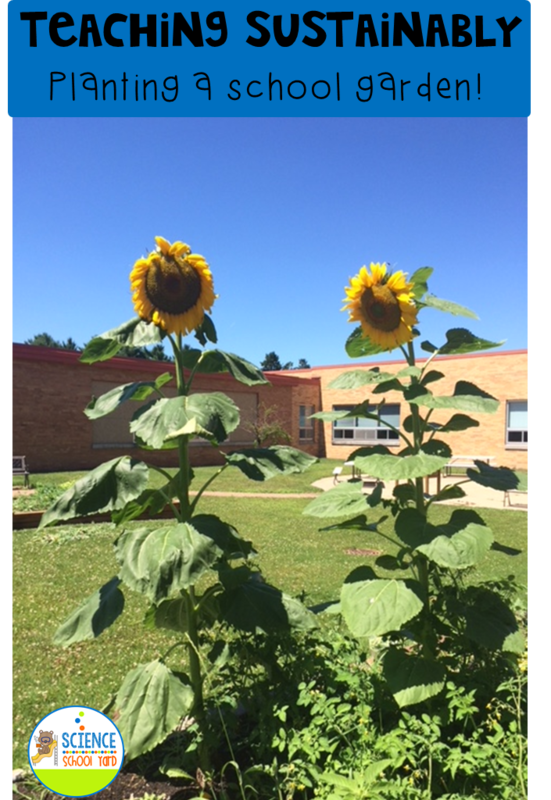 These flowers were started in an egg carton for our school garden! 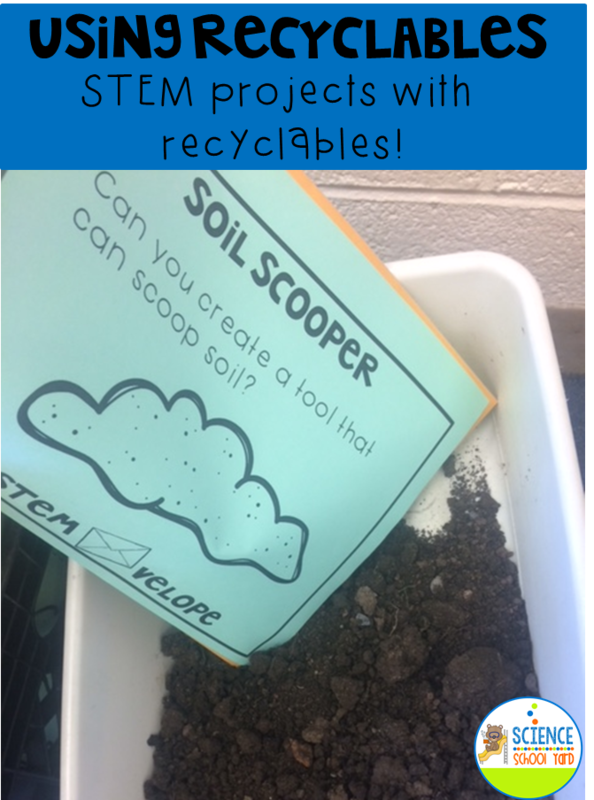 For more great ideas that include writing, STEM, research, qr codes and more...check out this newly updated 30 page Sustainability Pack! 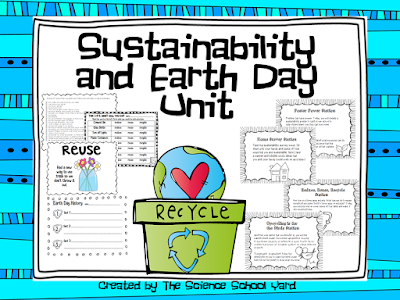 Find this Sustainability and Earth Day Pack HERE! 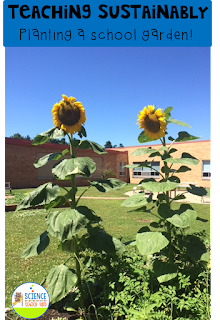 I love teaching sustainability all year long! This is a great summer school, back to school, and science unit for anytime!